by Jelisa Dunbar, coach for the Canadian Youth Climbing Team, and CCC Head Coach. 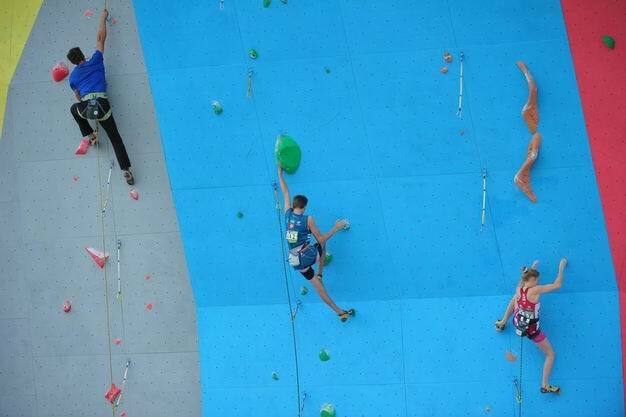 To compete in an IFSC World Climbing Championship is an experience like no other. Only a handful of Canada’s best athletes are selected to travel abroad to represent the country each year. Training began early July in Montreal, where coaches, physiotherapists, psychologists and route setters spent the week testing, evaluating and preparing the Youth National team for the adventures that lay ahead. 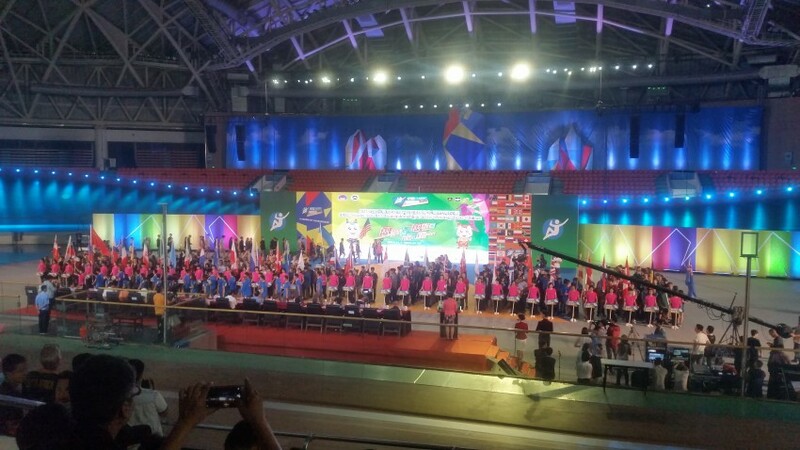 For many athletes, this was the last time we would see them until the World Championships began November 2016 in China. We stepped off the plane into an unknown world after what seemed like an eternity of travel. Greeted with a wave of tropical humidity and wafts of foreign aromas, the only thing standing between sleep was a cab ride and a language barrier. 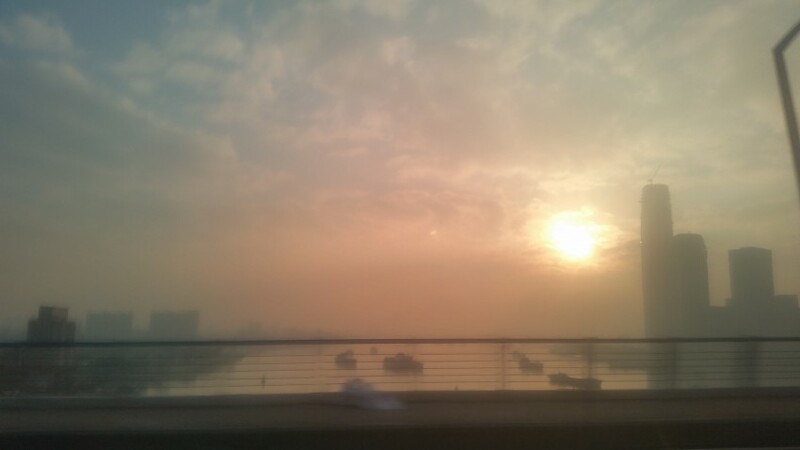 The smog was like someone installed a dimmer on the sun. Some days you could stare directly at it. After a couple nights spent adjusting to the food, water and polarity between Guangzhou’s sporadic temperature changes, the competition had arrived. Wrapped proudly in red and white, the youth team marched into the opening ceremonies on Sunday evening. My eyes welled up in an unsuspected moment of patriotism that only sport seems to provoke. 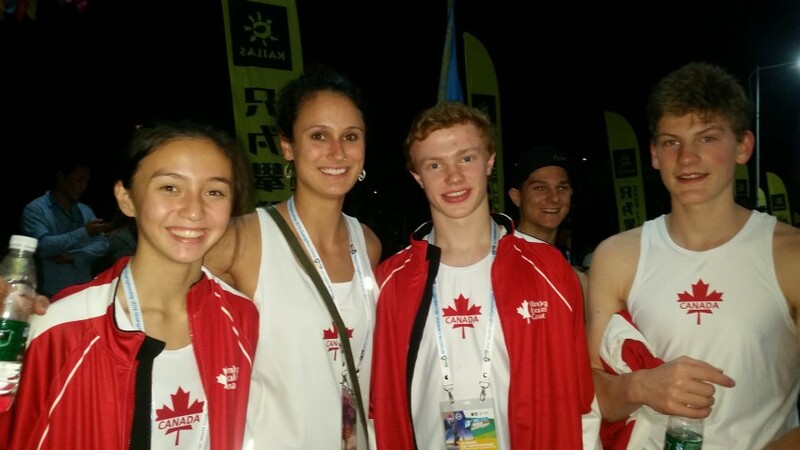 Three Calgary Climbing Centre athletes, Paige Boklaschuk, Matt Wright and Tyson Martino, are representing Canada and smiling next to other Nations, brought together by their love, dedication and passion for our sport. Tyson Martino carefully analyzes the lead qualification route bright and early the next morning before beginning his warm up. As the long day of lead qualification progresses, Canadian athletes slowly trickle into the warm up area for their turn to climb. Tyson on the right for the lead qualifications. Generally satisfied with their first ever international performances, CCC youth Elite team athletes Tyson and Paige finished in 30th and 31st place. With the cut off for semi finals at 26th place, 3 star Canadian athletes Zach Richardson, Lucas Uchida and Lia Wieckowski advanced to the next round. What I love most about these international events is the perspective and inspiration it offers young athletes. In Canada, it’s hard to tell what level the rest of the world is climbing at. Athletes can really only gauge themselves against their peers and the experiences of other seasoned competitors and coaches. “I hope there’s a slab problem!” CCC athlete Matt Wright smirked before sitting down into the on-deck chair in the boulder qualification round. 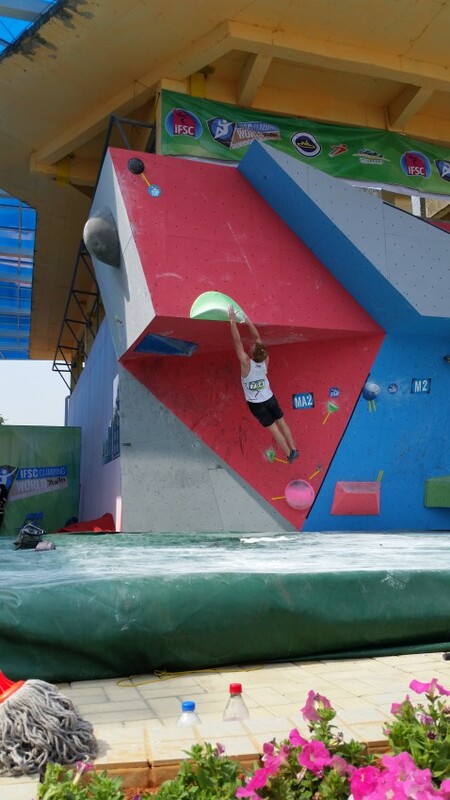 In possibly the worst qualification round in IFSC history, Matt managed to keep a positive attitude and snag a top on one of the only boulders he was able to try. 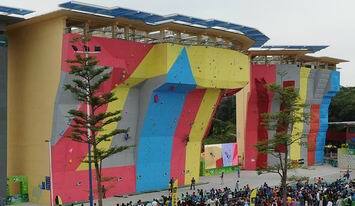 The men’s boulder qualification round was eventually cancelled that day due to rain, wet holds and sporadic time outs. 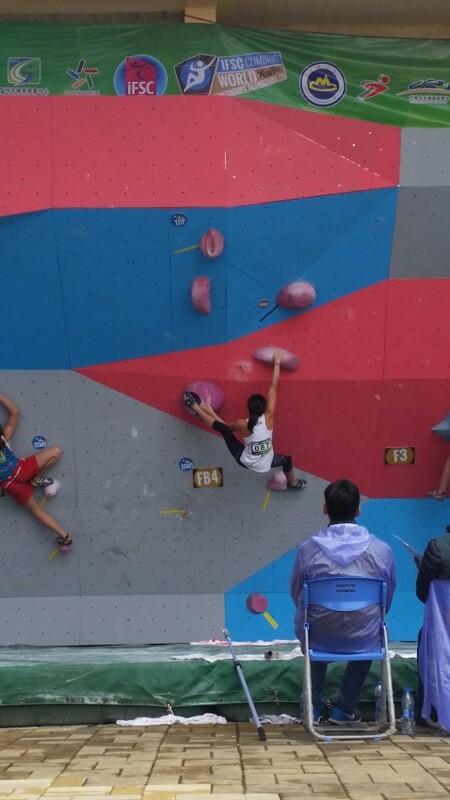 The only fair thing to do was to advance all the boulder participants to semifinals! Semis is typically the hardest event in a competition, designed to award only 6 world class athletes a spot in finals. Canada finished with Nathan Smith and Bronwen Karnis in 9th place. “Video tape Ashima! !” The youth B girls shriek, bouncing up and down amidst the excitement of finals. For coaches, half the excitement comes from watching finals in itself, the other half is watching the athletes soak in finals. 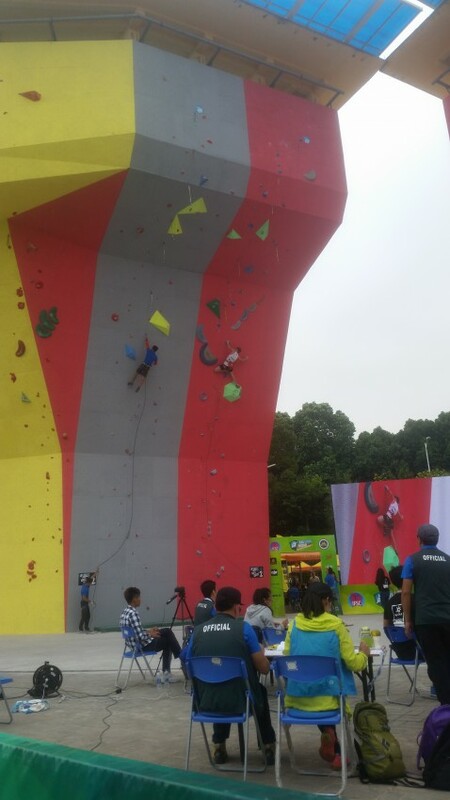 Crowd Favourite, Ashima Shiraishi is one of the current strongest climbers. 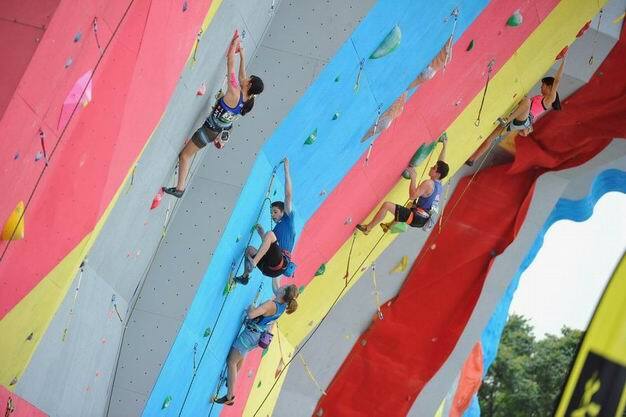 Boulder finals, the final day of the competition, where inspiration is captured and safely stowed away. Where athletes trade team shirts, say their goodbyes and reflect upon the week’s events. Head Coach at the CCC and one of Canada’s National Youth Team Coaches. 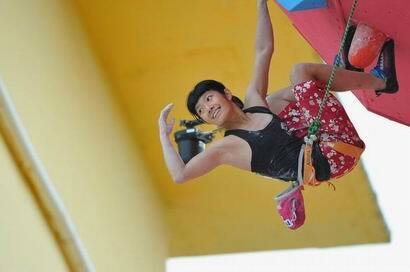 Calgary Climbing Centre ClimbParks - Two of our facilities have ClimbParks. CCC Hanger (in the north) and CCC Rocky Mountain (in the west).